Leona Hinata is Miyuki’s protege and adoptive daughter after her parents were killed by a yeti. She is a Forveer whose forverescent animal is a white lion. Thanks to Miyuki and Yayuki’s tutoring she is very adept at healing magic and is praise as a prodigy. She doesn't know many offensive spells as the Hinata twins thought to keep her out of battles providing support and improving the future of the land, she does know trap spells and very basic attacks which calls for her to think about encounters tactically. 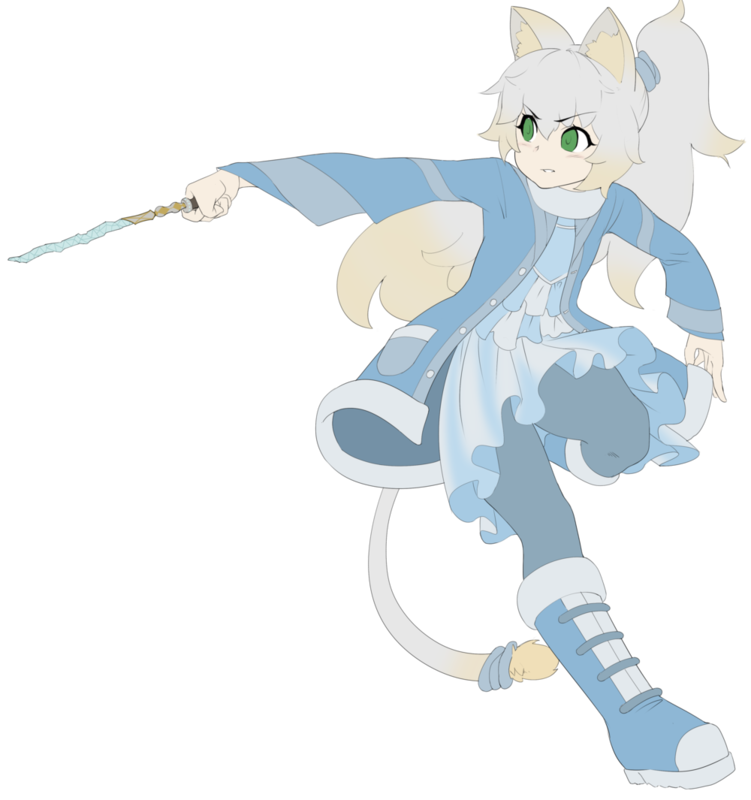 She uses a wand similar to Miyuki’s axe to cast her spells.